The T32 is the flagship of WIKA’s temperature transmitters – and a bestseller, too: The instrument of se­rial number 1000000 has al­ready undergone manufacturing. As one of the first temperature transmitters worldwide, T32 has complied with all requirements of the standard for functional safety to IEC-61508, also known as SIL (Safety Integrity Level). The WIKA in-house development was certified as part of a full assessment by TÜV Rheinland as independent body. For successful SIL certification, the development process for T32 had to follow exactly the V model of IEC-61508. In addition, it was mandatory to implement an extensive diag­nostic functionality for detect­ing critical error states in instrument operation. It allows the plant manager to bring his process to a safe state in case of malfunction. The func­tion com­prises, among other things, monitoring the sensor lead resistances, sensor monitoring, continuous microcontroller self-diagnostics, and hardware monitoring. The functionality is rounded off by very good long-term stability and excellent EMC characteristics. The development process required for SIL certification in accordance with the V model was consistently implement­ed at WIKA for the first time as part of the T32 project. Compared with conven­tion­al product development, the standard requires much higher documentation and product validation expenditure. In retrospect, this addition­al expenditure has paid off by giving excellent quality figures: For the SIL generation of the T32 (the third overall), for years the return ratio has been in the single-figure ppm range. Its longstanding and worldwide proven reliability even in demanding industrial environments, for example extreme cold of -50 °C, very high humidity of more than 90 per cent or strong vibrations, have im­pressed our customers. The experience made with other SIL developments such as the pressure transducer TIS-20 has confirmed it: Consistent implementation of the development process benefits product quality. 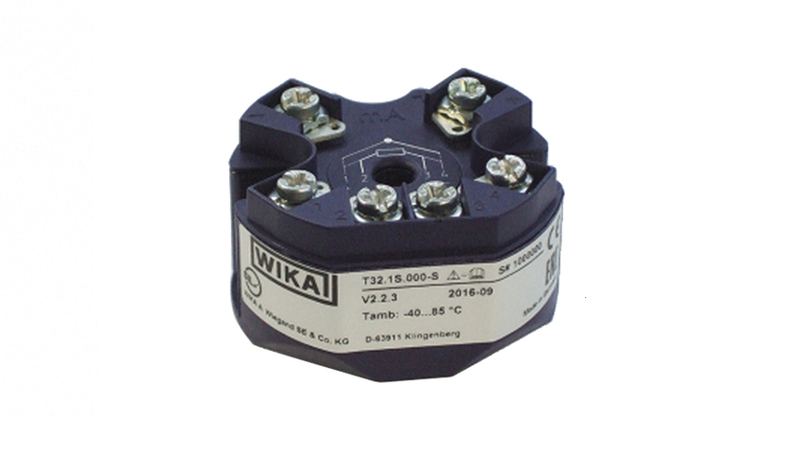 Further information on the temperature transmitter T32 can be found on the WIKA website.